Captain Hikaru Sulu: Stardate 9521.6. Captain's Log, USS Excelsior. Hikaru Sulu commanding. After three years, I have concluded my first assignment as master of this vessel, cataloguing gaseous planetary anomalies in Beta Quadrant. We're heading home under full impulse power. I'm pleased to report that ship and crew have functioned well. Q: Why is the Klingon homeworld dying? Q: What is 'The Undiscovered Country' about? Star Trek Movies are far more miss than hit, with only 3 excellent, 1 good and the rest rubbish (although NEMESIS may be slightly above rubbish level). Anyway, this movie was meant to contrast 60s style leadership and ethics with those of the 80s. Borrowing from the modern leadership styles and political correctness portrayed in the Next Generation series, "The Undiscovered Country" explores (in typical Hollywood sci-fi fashion) how our present day society has progressed toward multiculturalism. It explores how committed, loyal patriots can be burdened with their old prejudices after the world/universe has changed around them. The personal struggles of Kirk and the Chancellor's daughter, and even the violently opposed logical conclusions of two Vulcans in the same circumstances (but with differing priorities) are all clearly missed by most viewers. 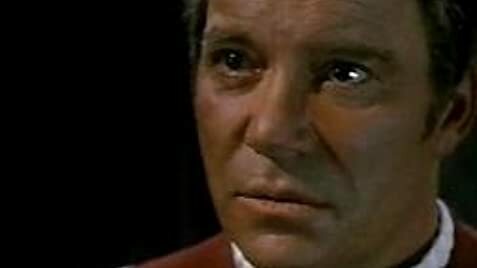 Of course, as with James Bond movies, Jim Kirk and his crew must save the day (and also nicely throw in some minor Star Trek future history trivia with the Khitomer massacre etc). An excellent story line, excellent themes, carefully produced and directed, this is a science fiction classic on par with Alien, Blade Runner and, yes, much better than any of the Star Wars movies.